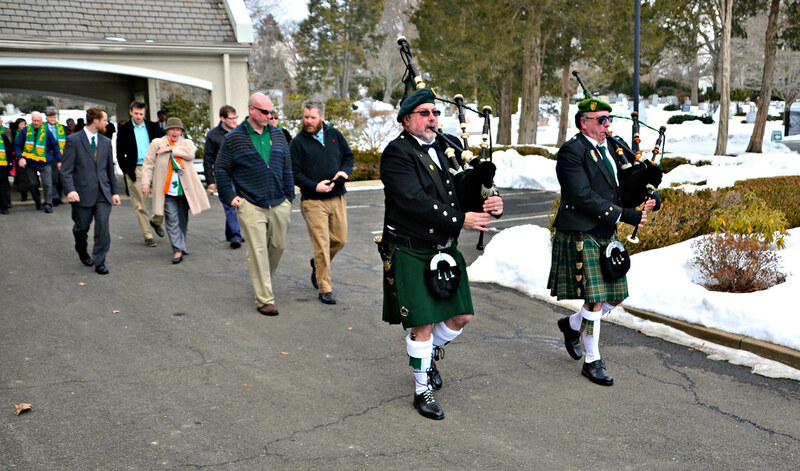 Bill and Frank Watson lead the procession. 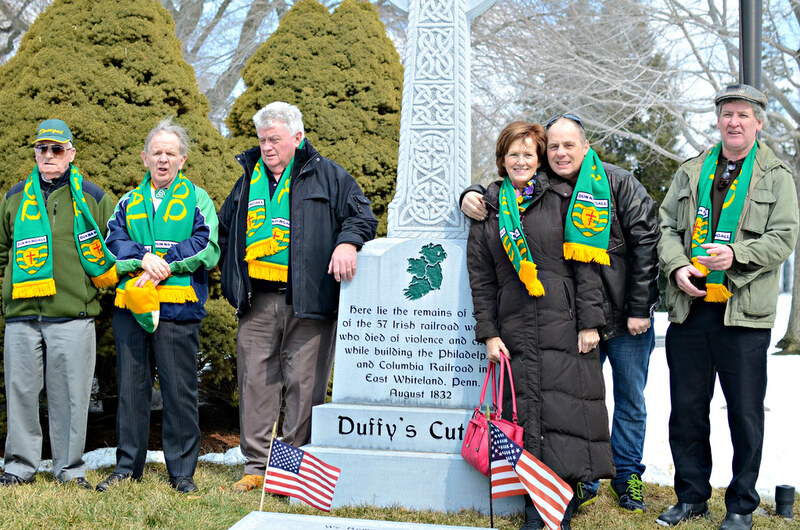 On the third anniversary of the burial of the victims of Duffy’s Cut, a crowd of local Irish and Irish-Americans showed that no one is about to forget the 57 Irish railroad workers who died in 1832 along Mile 59 of the Pennsylvania-Columbia Railroad in Malvern. 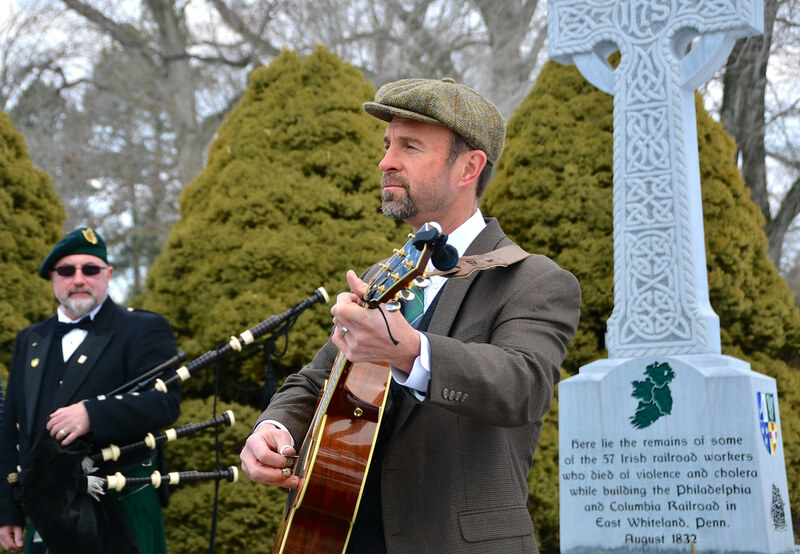 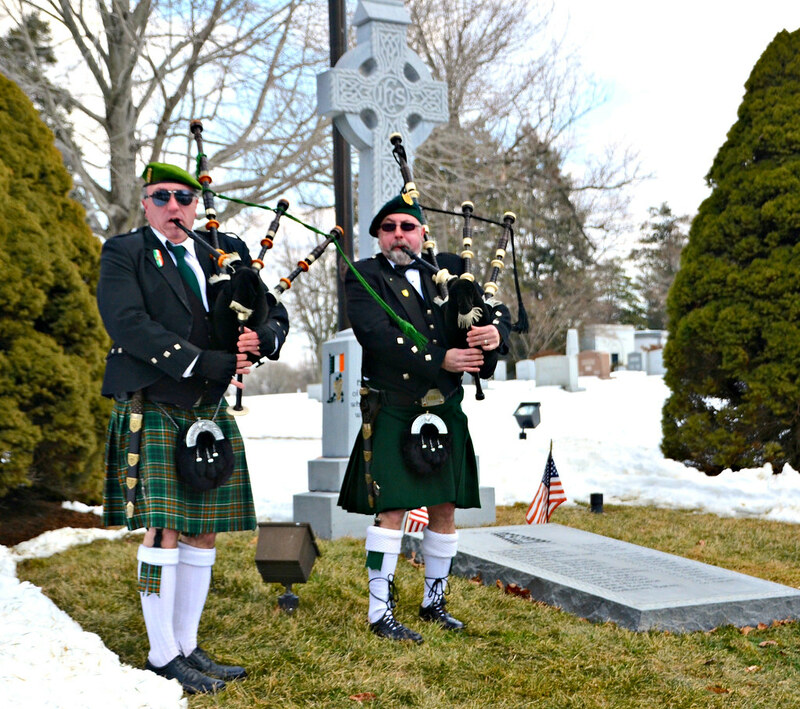 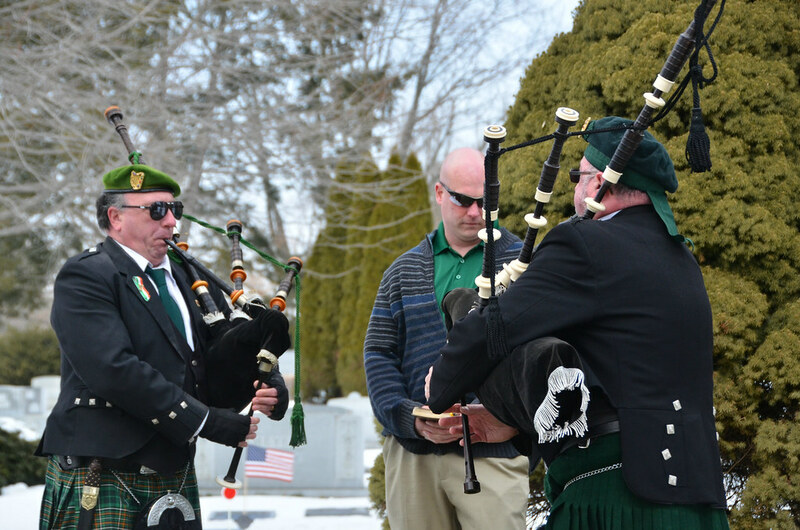 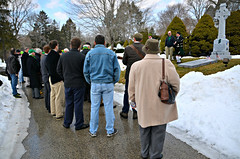 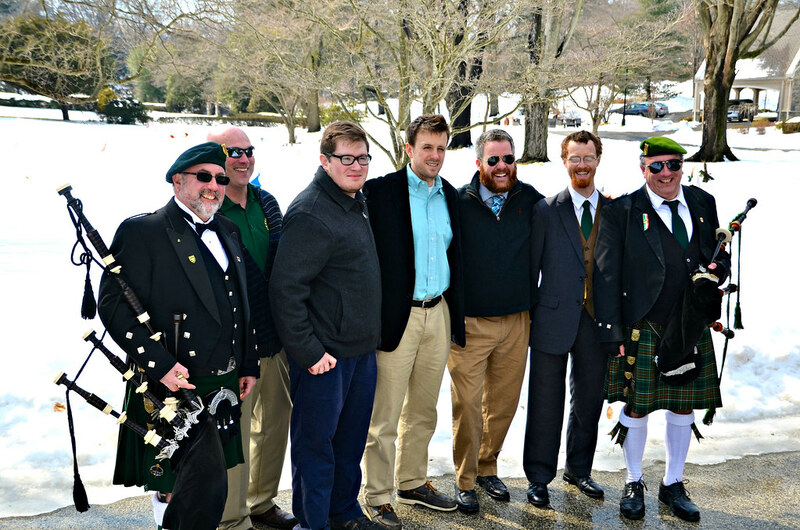 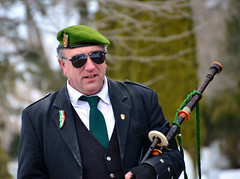 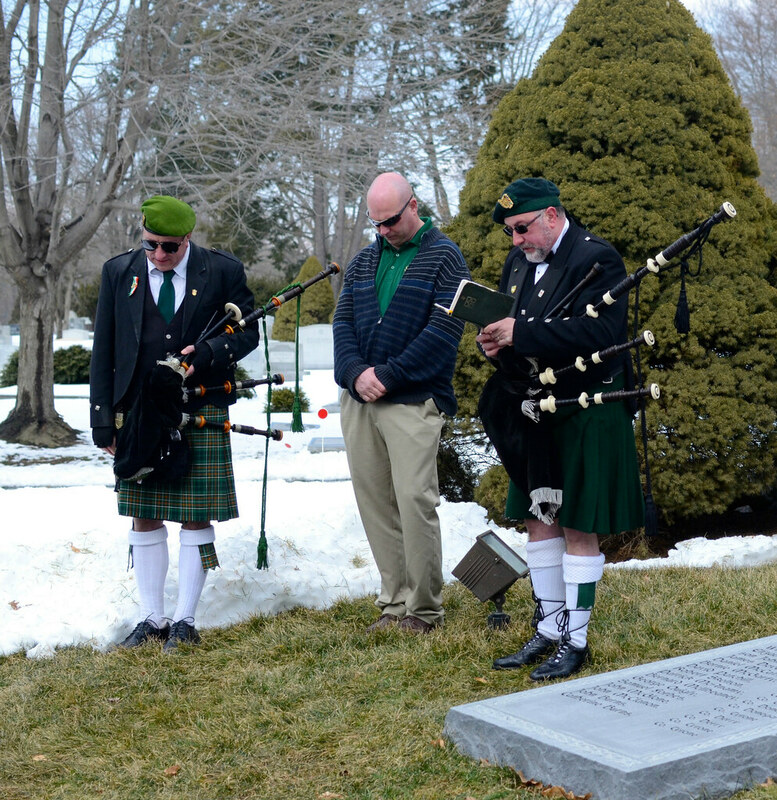 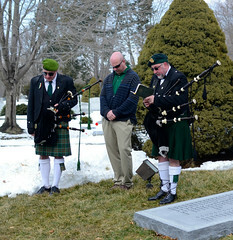 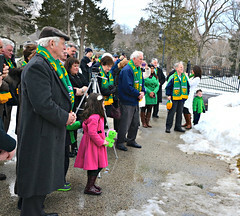 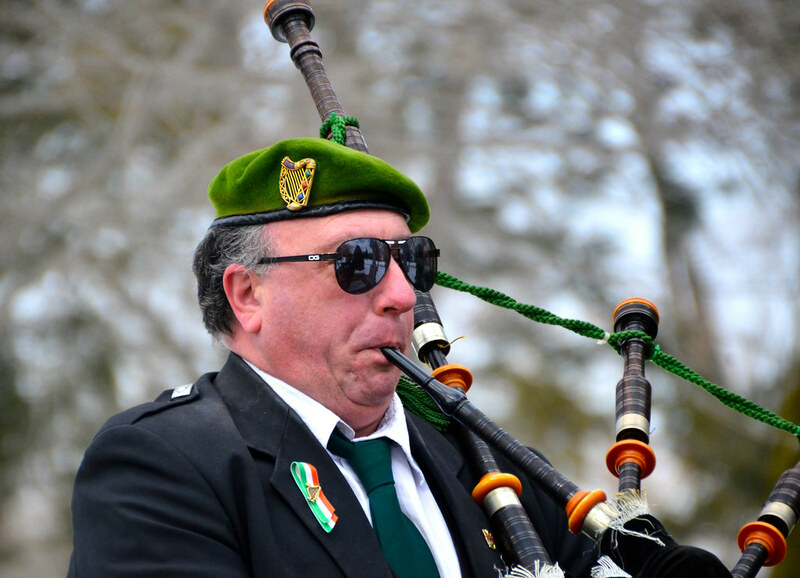 After a week of bad weather, the sun shone brightly on the procession of well-wishers last Sunday, as they made their way from the main building of the West Laurel Hill Cemetery to a tall monument—a stone Celtic cross engraved with elegant knotwork. 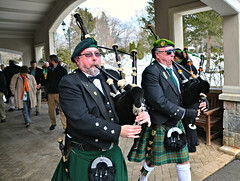 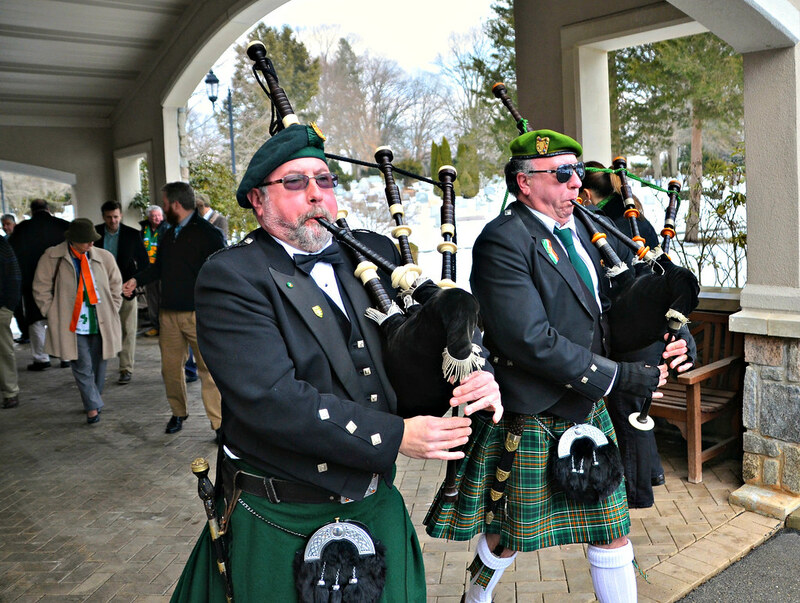 They were led by brothers Bill and Frank Watson in full piping regalia. 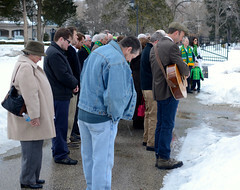 It was a time for a brief period of reflection. 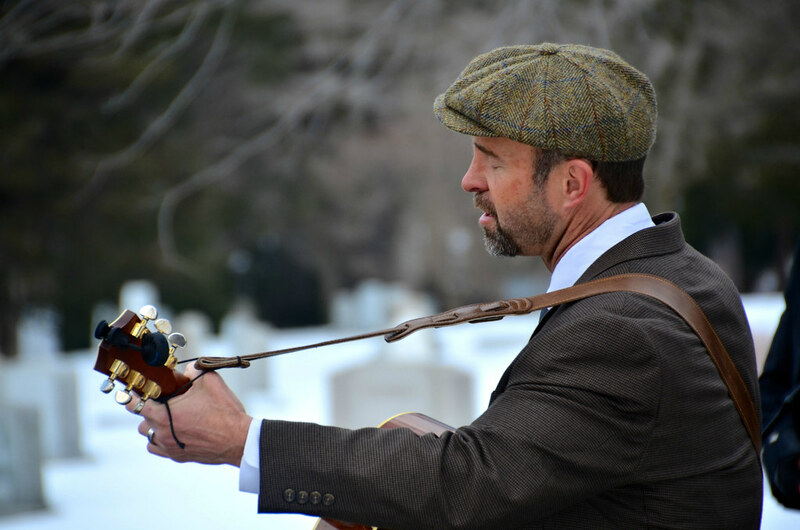 Singer Charlie Zahm set the tone with a moving rendition of the classic “Four Green Fields.” Prayers were read by Frank Watson, a Lutheran minister, while others spoke words of remembrance. 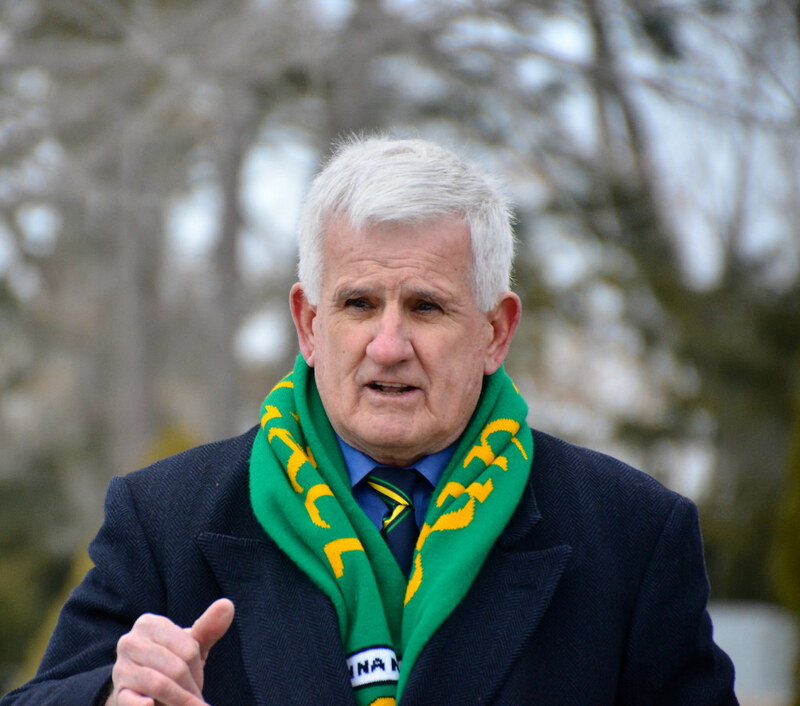 Frank McDonnell, president of the Donegal Association of Philadelphia, paid tribute to the Watson brothers who, with their colleagues and volunteers, have led the effort to recover the remains from a mass grave along the tracks—and to help solve the mystery of how they came to die. Many of these lost souls succumbed to cholera, certainly, but at least some of them murdered.